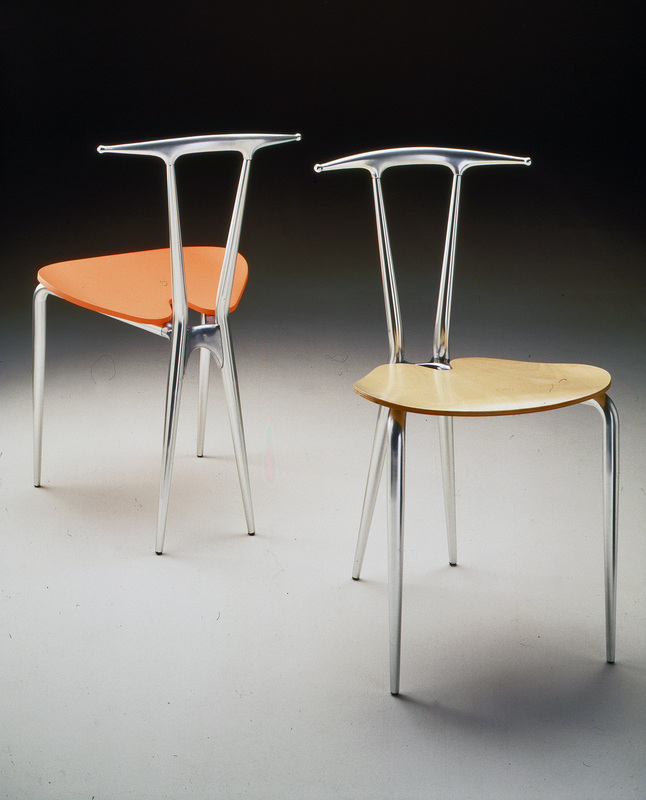 Chair with frame in anodized bright natural aluminium. 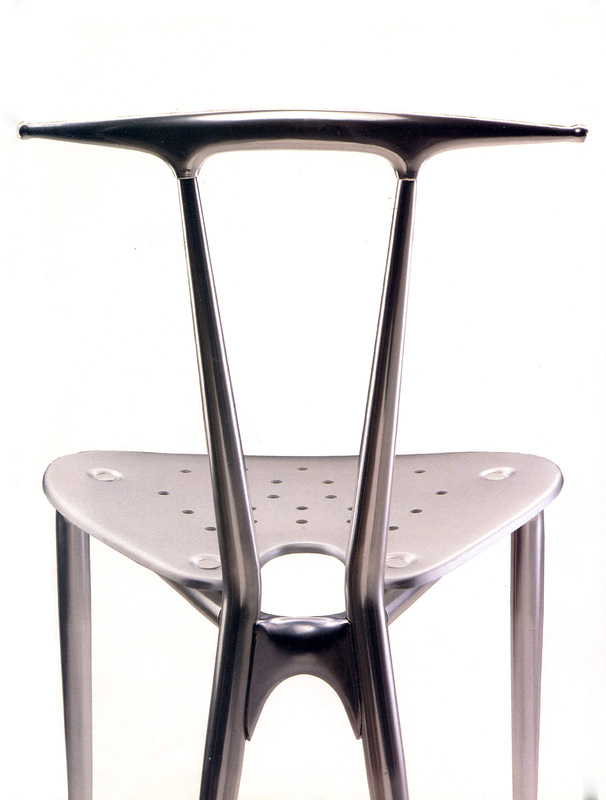 Seat in pierced mat natural aluminium. Treatment for outdoor use on request. A striking chair, that has been used in several ads and commercials, up to Tina Turner’s “Goldeneye” videoclip.